What should be done today? Should Ukraine under support of NATO take actions to reclaim the lands? Such a war can jump to a nuclear war as Russia was hinted repeatedly. Obviously this path is unacceptable. Much more desirable is to discover a solution by using peaceful ways. The question about the relations of Trumps headquarters with Russia prevented him in forwarding his policy toward Russia. Today the division between the East and the West is represented on the foundation state of cause reserved on the Ukraine. Behaving himself ardently, Trump can leave behind damaging his critics. Along with the American society, including the majority members of Congress, are glad for the return of regular relations between the United States and Russia. For the Ukraine this mean as much as possible safety. For Russia the end of economic sanctions and for Trump this can develop into a drama which in the long run will abandon the Russian enemy. Crimea remains in Russia’ possession and this deed needs to be legitimized. At exactly the same time Ukraine presents a claim of the financial expenditures in the time Crimea became a part of Ukraine till today. In addition to account of all of the losses connected with the war and occupation of East Ukraine by Russians. After the debt is paid by Russia that the UN would conduct a decision allowing Crimea and Russia join legally. 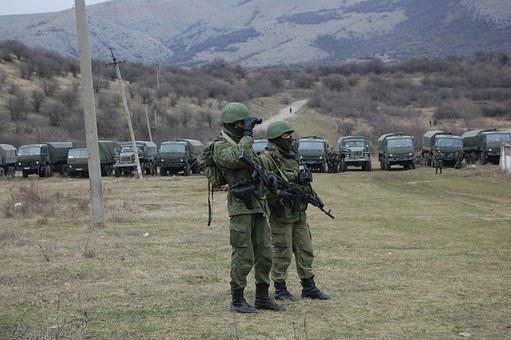 Russia will be mandated to withdraw the troops from the Ukraine territory within well-defined timeframe. These actions would permit the peace and order to be lawfully restored in the region. Now it is time for Putin’s close collaborators to give him a piece of advice to withstand from the future elections. Later on Russia should organize free and fair democratic elections, so that a new president can collaborate with others on Russia’s participation in the European Union. At the point the European Union should work on the question of the elimination of the North Atlantic Pact and the creation of a EU army instead.